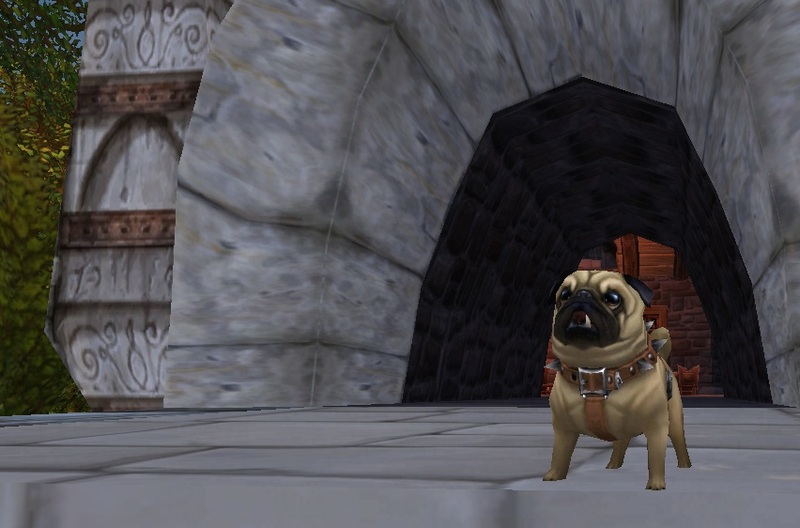 The Perky Pug was my very first must-have pet in the battle system. 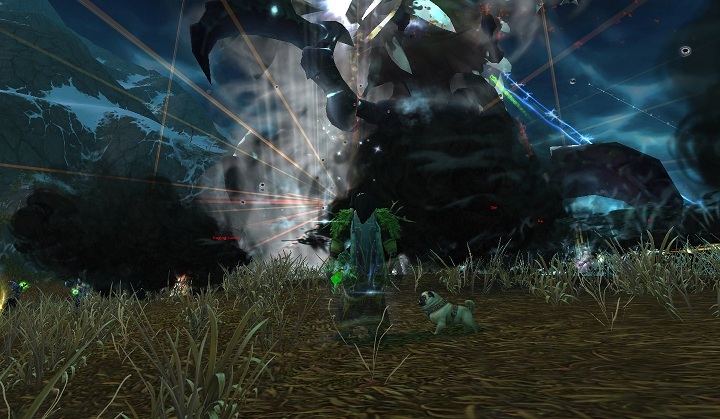 He was my mage’s puppy familiar before pet battles hit, so it made sense that he, along with my old-school raiding mascot Mr. Wiggles (“let’s do this, Wiggles.”), and the novel Terrible Turnip, made up my very first battle team. There were 2 big issues with using the pug, though. The first, largely cosmetic one, was that WoW wouldn’t let me give him his original proper name, Mr. Rochester. Even removing the honorific, Rochester just wasn’t allowed. I’m guessing because of the ‘chest’ in the middle. So, he became she. Bertha, the sublimated passionate side of the dichotomy of the nature of Victorian women. What? Oh come on, pick up a book once in a while dude. The second issue was that Bertha, like her namesake, was both ferocious and yet impotent. All perky pugs start off as Uncommon quality. So, although she was really good at fighting pretty much anything out in the world with a choice between 2 strong self-heals and an avoidance ability, she didn’t do so hot in tamer battles once I got past the initial string of quests. At this point I started building my second team, featuring the Clockwork Gnome, Celestial Dragon and Chuck. I didn’t give up on Bertha because she was still awesome in world battles, but I needed the extra oomph to get past the tamers. it’s smart while you’re starting off to have a stable of 5-6 varied pets & pet types anyway, because there’s always that one ‘up yours buddy’ battle where you have to all but start from scratch. At long last I found a Critter Upgrade stone, and of course, Bertha was the very first critter on my list to upgrade. She was my first level 25 too, and now she’s very key in my strategy for beating the Thundering Pandaren trainer. Being a critter, she shakes off the stuns no problem, and then she uses her burrow ability and heal to avoid pretty much everything else. She’s still very strong for taming and a favorite to bring out while adventuring in the world. This is also one of the easier pets to obtain. Right now, it ranks #2 on Guildox on the list of most popular pets. Most people get it almost by mistake. You run LFD, and then after you’ve grouped with 100 people found through LFD, you get an achievement and a pug in the mail. Unfortunately you’re only allowed 1 pug per account, so you can’t have a Bertha and a St. John Rivers and a Grace Poole. 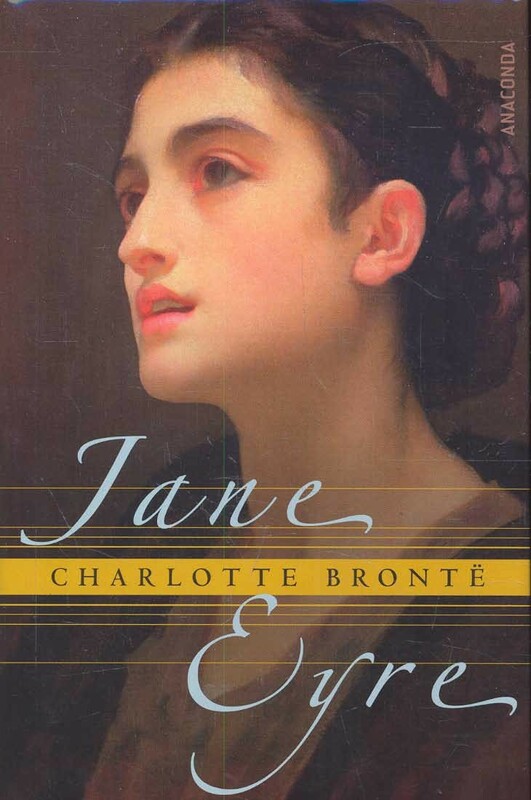 Oh come on, it’s classic literature. God. The achievement only counts random people, so if you queue with your tank buddy that run only counts as 3/100. 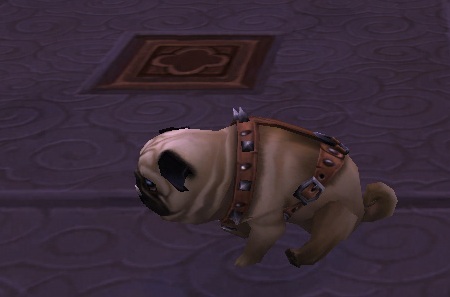 The only pet which shares the pug’s moveset is the MoP CE pet, the Lucky Quilen Cub. That pet also starts out rare, so if you have one and don’t necessarily want the cutest pet ever, you may want to go with the Cub instead. But uh, if you should decide to go with the pug, you may want to set aside the cash you’d spend on a CE. Just in case you need your carpets steamed, or something. Just sayin. This entry was posted in pet profile and tagged achievement, critter, perky pug, self-heal on March 19, 2013 by Liopleurodon.